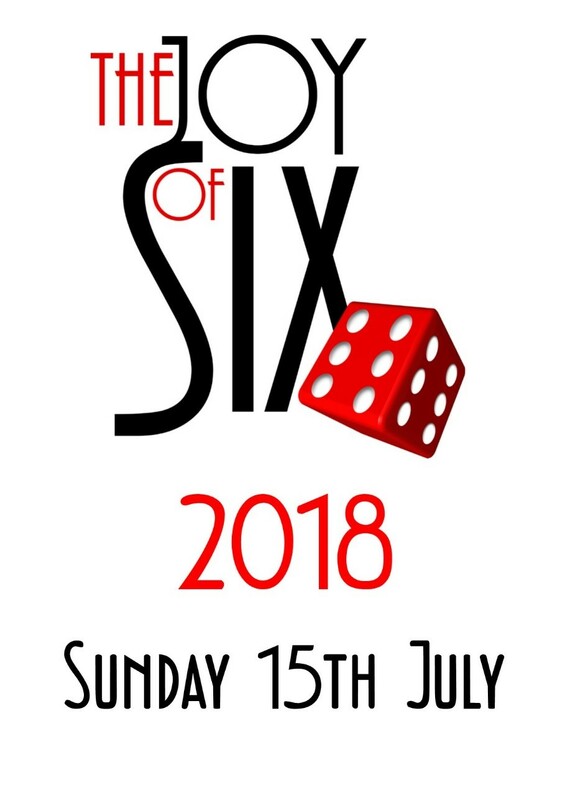 There is now less than a month to go to this year's Joy of Six and it really is looking like another outstanding show. We're really pleased to be able to welcome GM Boardgames who are travelling to attend the show all the way from Poland. They'll be showing off their ACW game and a lovely range of figures. Also new for this year is Christopher Morris who'll be selling books - a real gap in the products available in previous years' events. That's two dozen games of the very highest quality with 75% of them being participation. You not only get to see some great sights, but you get to join in too! For those of you wishing to sharpen up your painting, Dr Mike will be once again be opening the doors of his splendiferous painting clinic. There will be two seminars; The Baccus team will once again be placed in a locked room with a load of customers and pinned against the wall and made to deliver up the deepest and darkest secrets about what goes on behind the scenes at the Grim Workshop of Doom. 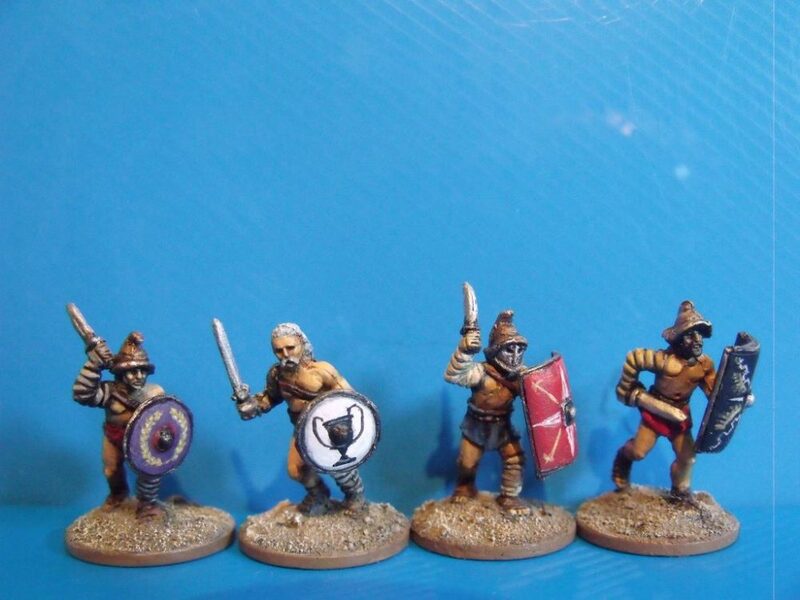 The second will be a new format to us in that we've assembled a panel of some of the Great and the Good of our hobby to chew over some topical 6mm related issues. There'll be more details of this coming along later, but I think that's going to be a cracking session! Add in to this heady mix a Bring and Buy, good food and very reasonable places and a mere £3.00 entry fee, then you have the makings of one of the best shows on the UK games circuit. 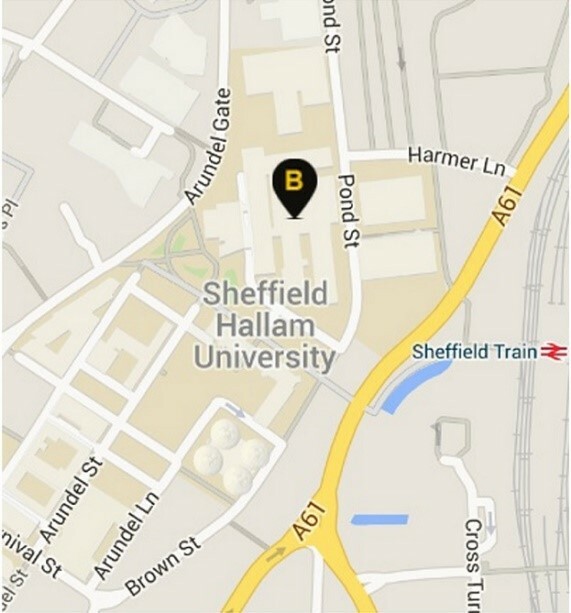 If you fancy making a full weekend of it, then why not book yourself in on a Baccus Workshop Tour? 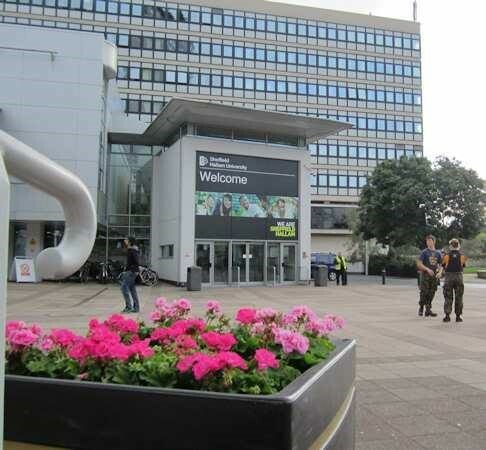 We'll be holding two sessions on Saturday 14th July. Numbers are limited, so get your reservations in now or risk disappointment as they are very popular. Just email or call us on 0114 2724491. We’re aiming to have a decent selection of new 6mm items for the day – all the new Slammers vehicles ought to be ready by then, assuming we don’t have any more irritating delays 😕. 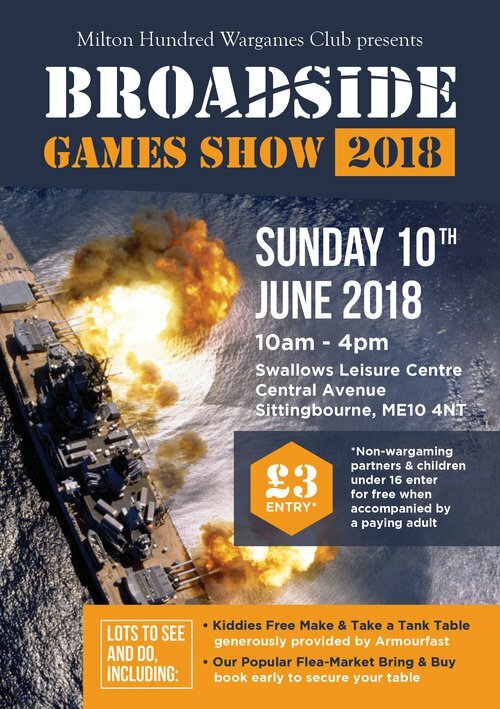 Our next and nearest show, Broadside in Sittingbourne on June 10th, is approaching rapidly. I’ve gradually been replenishing our show stock following Salute and have a full day to finish off that task next week. We should have some more new releases in the next week or two which will be available on the day, and of course the large selection of models that we released at Salute will also be available. As always, we are taking pre-orders for any of our ranges – you can either place an order and pay in advance using the collect in person option on the website, or just drop us an email with a list and pay on the day. Pre-orders need to be with us by Tuesday next week at the latest (June 5th) in order for us to have a chance of getting them ready. 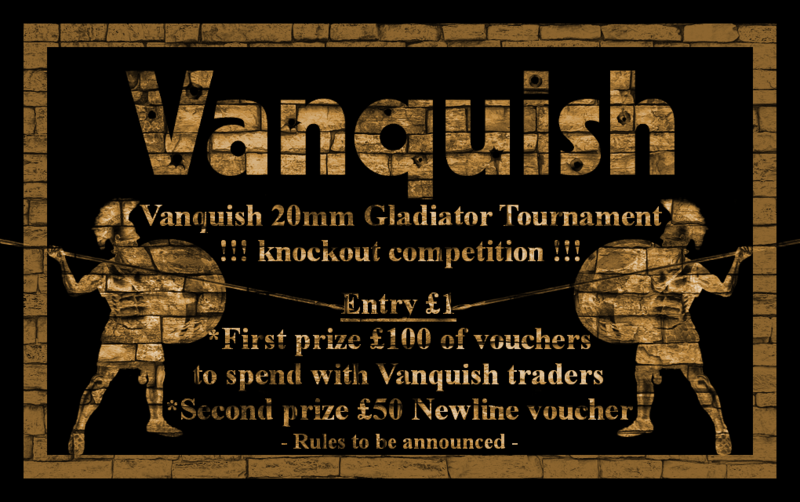 Pack of eight 20mm Gladiator figures free on entry at Vanquish! 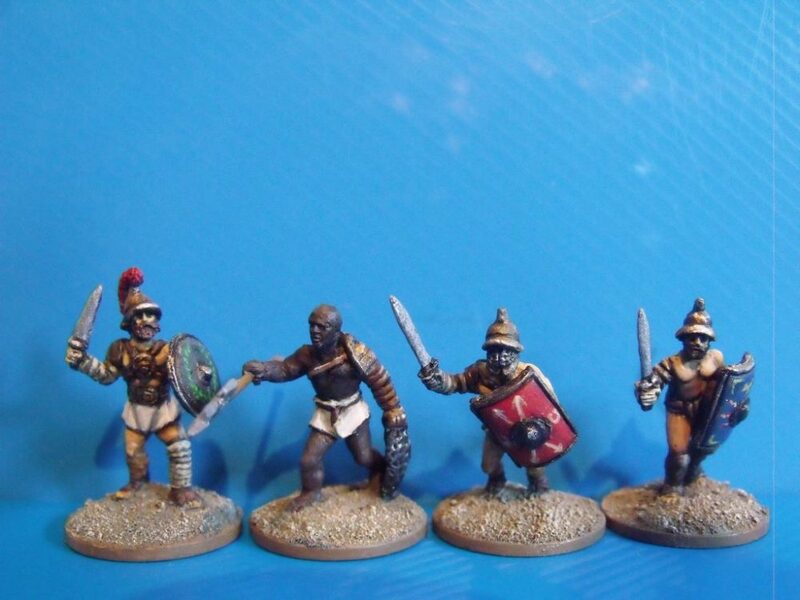 Each player receives 6 cards and a 20mm gladiator figure. Place gladiator figure in centre of Arena (there are six steps back to arena wall) and place one card facedown on table. Take a new card from the deck. If pushed back a second time. STUMBLE! Replaces green counter for a yellow counter. If pushed back a third time. FALL! Player replaces yellow counter for a red one, If they can not play an evade card they are eliminated. 5a. An evade card cannot be replaced by a new card from the deck, but that player may now play another card from the five remaining cards he holds. If at any point they avoid being pushed back they put the counter back. If a player lays a card that is double the value of his opponents, then opponents gladiator is eliminated. If a gladiator is pushed back to the arena wall his opponent must randomly pick his card. Unless he can play an evade card followed by his own choice of card. If he cannot play a higher card than his opponent, then the pinned gladiator is eliminated. THIS SUNDAY come see us at Partizan in Newark. 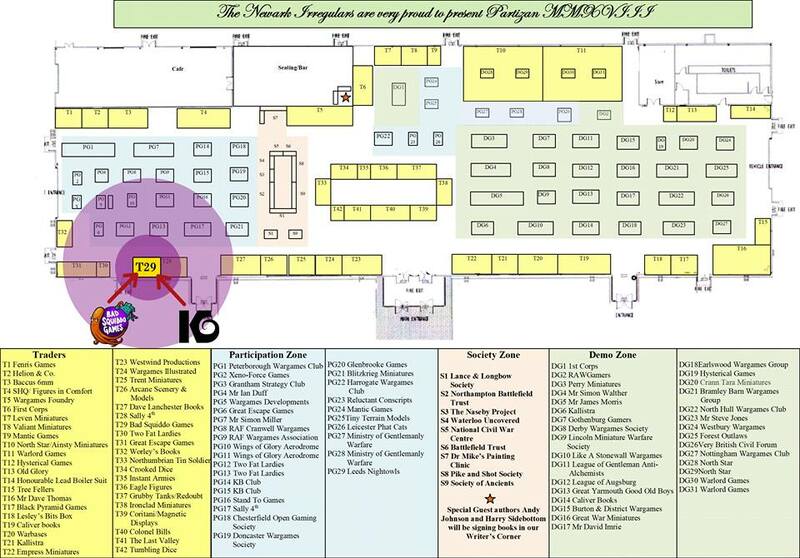 Same place, far left in the cool corner with Great Escape Games and Toofatlardies. This time we have special guest Krakon Games on there too - both in stock and person so do please come check out their goodies too. Really swish looking gribblies and some sci fi monsters. The Bad Squiddo stock will be limited because of all the recent problems so if you really want something please do pre order so I can make sure we have it for you. We will ONLY have Bad Squiddo stock, nothing else (no Statuesque Heads etc) so anything like that - pre order or be sad. If you have a pending order and wish to collect at the show, please pop an email over and we'll have it there for you, with the postage returned in solid gold coins or credit. The stand will be er, a bit different. As we have to fit it in a car. Yup.